When it comes to transporting bulky, heavy materials, many facilities and distribution centers rely on powered conveyors. There are several good reasons behind this choice of material handling equipment, from saving time to relieving employees of the burden of heavy lifting and transporting. Belt Conveyors: A very common option for powered material handling equipment, belt conveyors are idea for packages, raw materials, and parts. These powered conveyors can be easily installed for incline/decline applications, handling elevation change with ease. Slider bed conveyors also fall under this category. Roller Conveyors: These may include belt roller, chain roller, or roller bed conveyors. Another type of frequently used material handling equipment, a sequence of rollers helps quickly and easily move product and packaging. S.W. Betz carries a wide range of powered conveyors, plus parts and accessories. 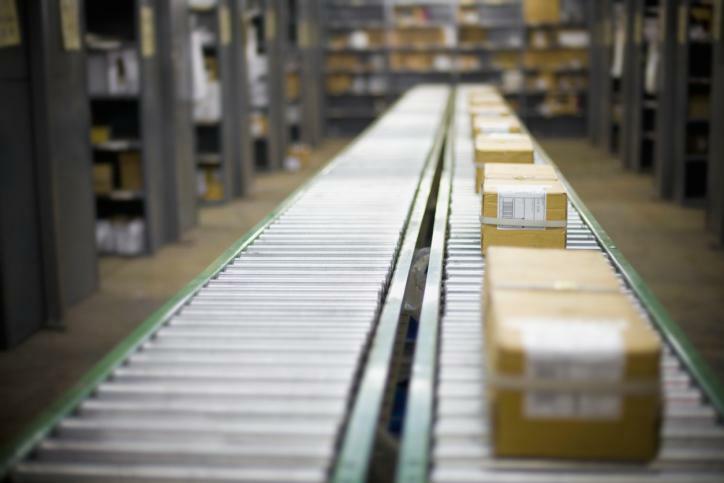 Not sure what type of conveyor system would work best for your facility or distribution center? We can help you determine the best material handling equipment system for your specific application and facility design. The S.W. Betz Company, Inc. has been providing businesses in Maryland and beyond with all of their essential Weighing, Material Handling, Dock, and Warehouse equipment since 1933. We also assist customers with the sale, service and repair of powered conveyors. We carry a variety of top warehouse equipment brands, such as: Morse, Wesco, Magliner, and Quantum Storage Systems. S. W. Betz is also a supplier of Lewco, Inc. and Roll-A-Way Conveyors, two known and trusted names in material handling equipment. If you would like to learn more about powered conveyors, please contact S.W. Betz by calling 410-574-1414 or 800-332-0322 today! You can count on the S.W. Betz Company to work with you and provide you with our extensive knowledge of the industry. This entry was posted on Wednesday, December 30th, 2015 at 4:00 pm. Both comments and pings are currently closed.